Sultan Nazrin Shah today warned of the consequences of corruption and criminal breach of trust committed by high-ranking individuals. 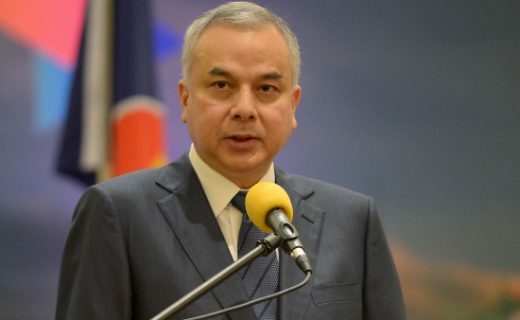 Sultan Nazrin said history had shown that criminal breach of trust and corrupt practices were factors that had caused the downfall of many governments and collapse of civilisations. “In the history of Islamic governments, many among the leaders of the Bani Umaiyyah (Umayyad Caliphate) and Bani Abbas (Abbasid Caliphate), due to their preoccupation with worldly pleasures, were willing to use their wealth to remain in power. “When power was regarded as an opportunity to fulfill personal interest and not as a trust, the functioning of the government would be impaired and ultimately resulted in its downfall and collapse of a civilisation,” the sultan said at the state-level Maulidur Rasul 1438H celebration, Tanjung Malim. Sultan Nazrin said wealth acquired through means forbidden by Islamic law was a form of abuse and cruelty towards the rightful people. “Hopefully, by delving into the history and way of life of the Prophet, the Muslim community will have the strength to promote noble character, so that they will be the most trustworthy people,” the Sultan said.